Advance your corporative sustainability initiatives using Nuvera® fuel cell power systems with zero emissions, and hydrogen supply solutions to reduce your environmental footprint. 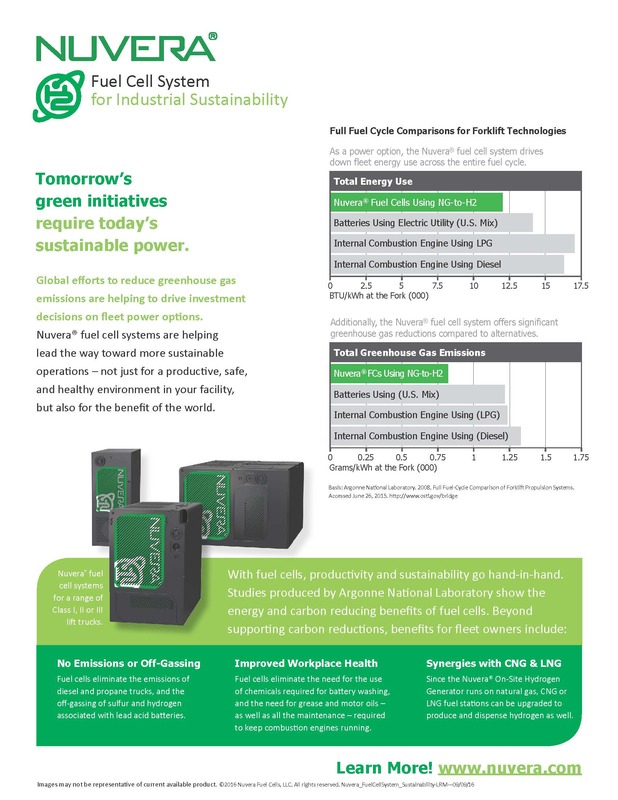 View data on fuel cycle comparisons and learn about the energy and greenhouse reductions possible with fuel cells compared to other power options. 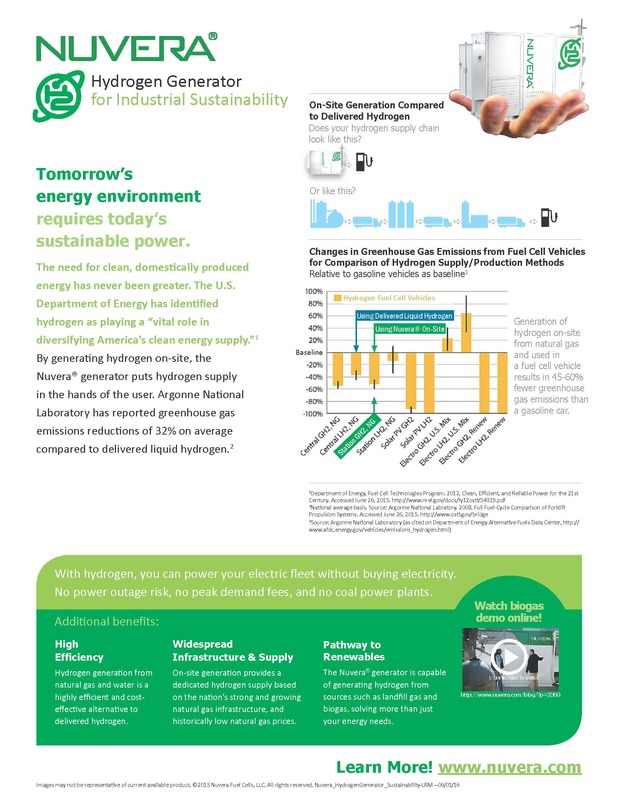 View overview of benefits using hydrogen power to advance corporate sustainability initiatives. The Nuvera® hydrogen generator offers a pathway to renewable energy with the capacity for producing hydrogen from renewable sources. Using methane captured from cow manure is just one example. 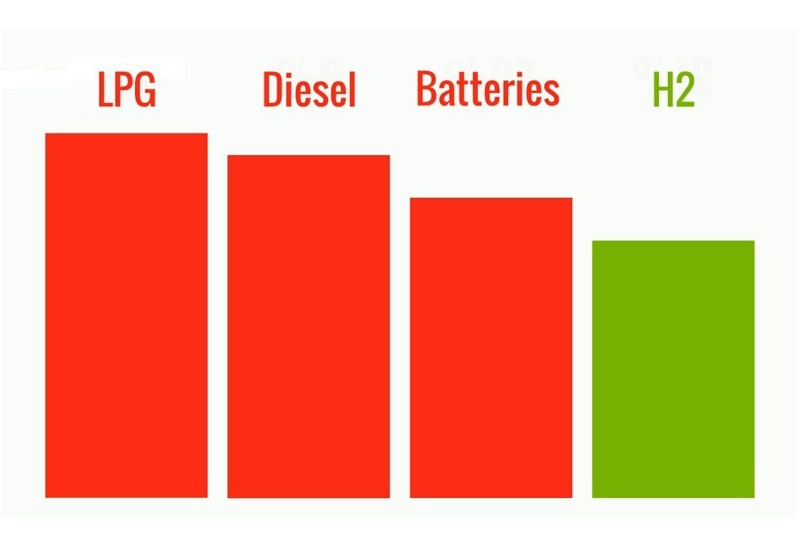 As a clean power option, hydrogen fuel cells reduce fleet energy use compared with lead acid batteries and internal combustion engines, and afford significant greenhouse gas reductions (see Argonne National Laboratory link below). 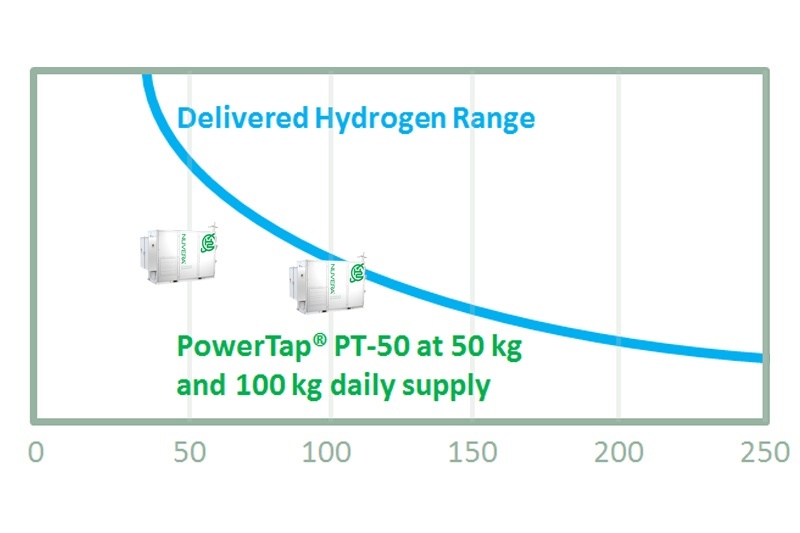 Conversion of natural gas to hydrogen with Nuvera® hydrogen generation equipment is a highly efficient alternative to delivered hydrogen, and enables a cost-effective hydrogen supply for users consuming less than 150 kg of hydrogen per day, which includes most of the largest fuel cell forklift adopters. Visit the Argonne National Laboratory publications page to get your copy of the Full Fuel-Cycle Comparison of Forklift Propolusion Systems report.